"Bajarí" is the word that gypsies use to name Barcelona. It is also the title of this documentary directed by Eva Vila which tells the history of the gypsy Barcelona, a city almost invisible but fascinating for those who watch it. The documentary was nominated for “Best documentary” in the Gaudí Awards 2014 and has seven candidatures to the Goya Awards 2014, it investigates the sense of belonging of the gypsy Catalan community and shows the reality of the flamenco in the Catalan capital. According to Eva Vila it is an “emotive trip through a boy’s eye and the art of a female flamenco dancer to the heart of flamenco”. 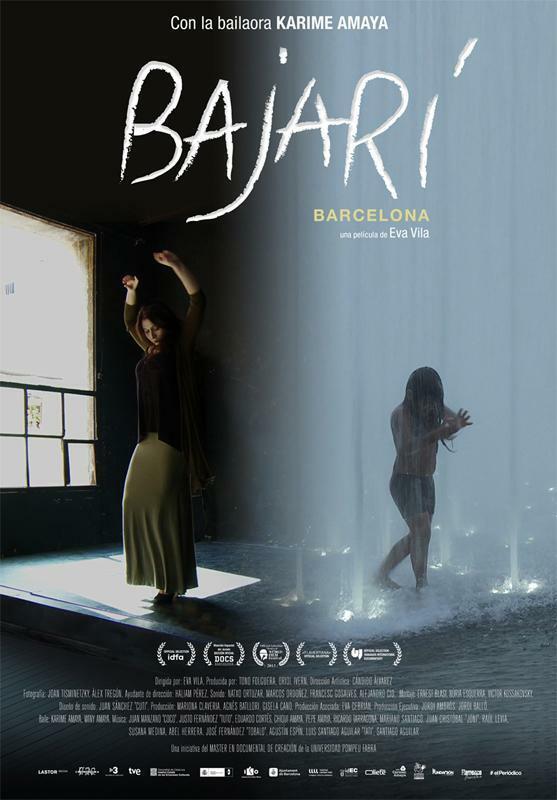 Bajarí is an initiative by the University Pompeu Fabra, coproduced by the Catalonian TV with the participation of the Spanish TV. It has also counted with the collaboration of Tablao Flamenco Cordobes because in the film appear some of the artists of the tablao: Karime Amaya, Justo Fernández “El Tuto” and Juan Manzano “El Coco”. Moreover, some of its scenes are filmed in this mythic tablao in La Rambla of Barcelona. At the end of May, for the closure of the presentation of the documentary and in the 16th edition of the DocsBarcelona Festival, the Foundation Tablao Cordobes and the Academy of Arts and Sciences of Flamenco offered the show “With Carmen Amaya in the Memory” in the square Salvador Seguí in Barcelona. The performance made in honour to Carmen Amaya in the centenary of her death was free and open to the audience. It counted with the dancers Karime Amaya, the grand-niece of the dancer from the Somorrostro and her mother Mercedes “La Winy”, who travelled from Mexico to Barcelona for the occasion. Justo Fernández “El Tuto” and Juan Manzano “El Coco” also were among the artists who performed before a large audience.